B.C. Mounties have issued a Canada-wide warrant for a man police say was running a white supremacist website promoting hatred from Vancouver. Paul Craig Cobb, who sometimes uses the moniker Corn Cobb online, has duel citizenship and it's believed he moved to B.C. in August 2009. 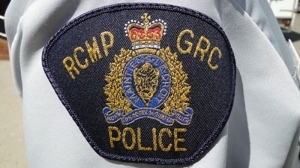 The RCMP Hate Crime Team says Cobb operated a video-sharing website called Podblanc from various locations around Vancouver, "promoting hatred of people based on ethnicity and religion." According to an online biography, Cobb ran the YouTube-style website, which allowed racists to upload videos, from Estonia for several years before coming to Canada. After a six month investigation into his actions, Cobb was arrested while using a computer terminal at the Vancouver Public Library on June 17 this year. Police also executed several search warrants in connection to the case. Police were not able to hold Cobb in custody and he was released with a promise to appear in court at a later date. B.C. 's Attorney General approved a charge of willful promotion of hatred on Dec. 30, but Mounties believe Cobb fled to the U.S. shortly after his June release. He was reportedly seen in Montana this fall. Insp. Tim Shields said building cases like this one take a significant amount of time because the websites are often hosted offshore and are hard to track. "It's difficult to prove who created the content, and from where," Shields told ctvbc.ca. Cobb promotes the Creativity Movement, a white separatist movement formed in the 1970s in the U.S. Creativity refers to white Europeans or white people they believe are the sole creators of civilization and technology.